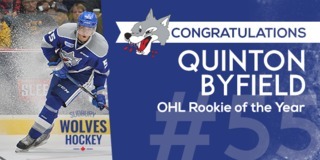 (Greater Sudbury, ON) The Sudbury Wolves are hungry to get back in the win column and will return to action at home this Friday October 13th when they host the Ottawa 67’s for the one and only visit to the Sudbury Arena this season. Game time is 7:05pm. 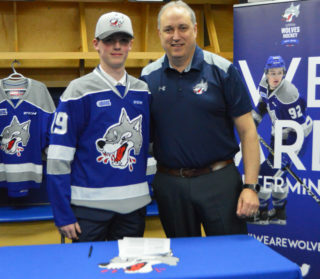 The Wolves will then hit the road for a pair of Eastern Conference stops in Peterborough and Oshawa on Saturday and Sunday. 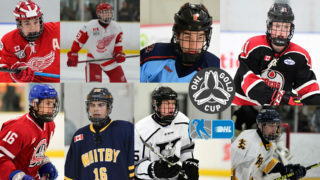 The 67’s line-up features 3 NHL drafted players including Arizona Coyotes 2017 4th Round selection Noel Hoefenmayer on the blue-line. Upfront, they are led by 19-year-old left winger Tye Felhaber who has 8 points on the season so far. 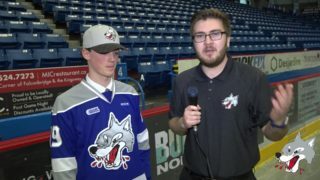 Join the Wolves for Country Night with KICX 91.7! The KICX Tailgate Team will be set up out front of the arena prior to the game where fans can enter the “Adventure of a Lifetime” contest. During the second intermission, one lucky fan will get to play Cash Cow with Moola for the chance to win a cash prize. 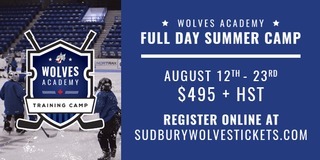 Tickets are on-sale now at the Sudbury Arena Box Office, by calling 705-671-3000 or online at greatersudbury.ca/tickets. Tomorrow, Fans can take advantage of WOLVES WEB WEDNESDAY! Every Wednesday from midnight until 11:59pm, all season long, fans can plan ahead and beat the box office on game by purchasing tickets online at box office prices. No service fees! Saturday, the Wolves will travel to Peterborough where they will face-off against the Petes at 4:05pm before wrapping up the weekend on Sunday evening in Oshawa against the Generals at 6:05pm. Fans can follow the Wolves on the road in a number of different ways this season. 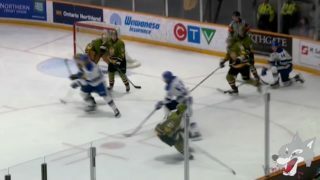 Fans can listen to the live play by play on the radio at 96.7FM CKLU or mxlr.com/sudburywolves on the Sudbury Wolves App. In addition to listening to the game, fans can tune into Eastlink TV Channel 10 or HD 610 to watch the broadcast from the local markets.